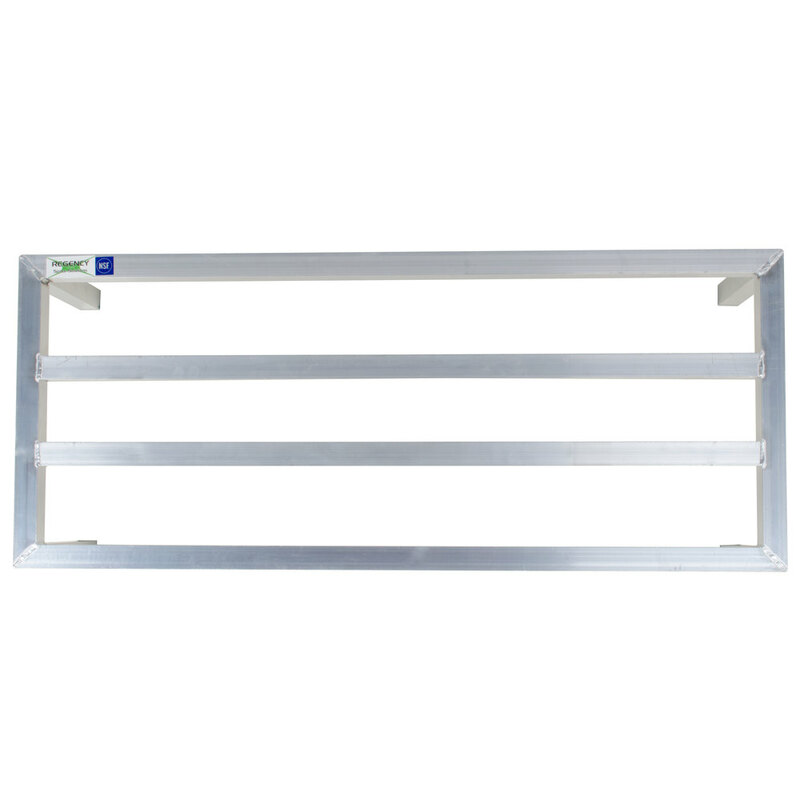 Keep large items stored off the floor with this 48" x 20" x 8" aluminum dunnage rack. 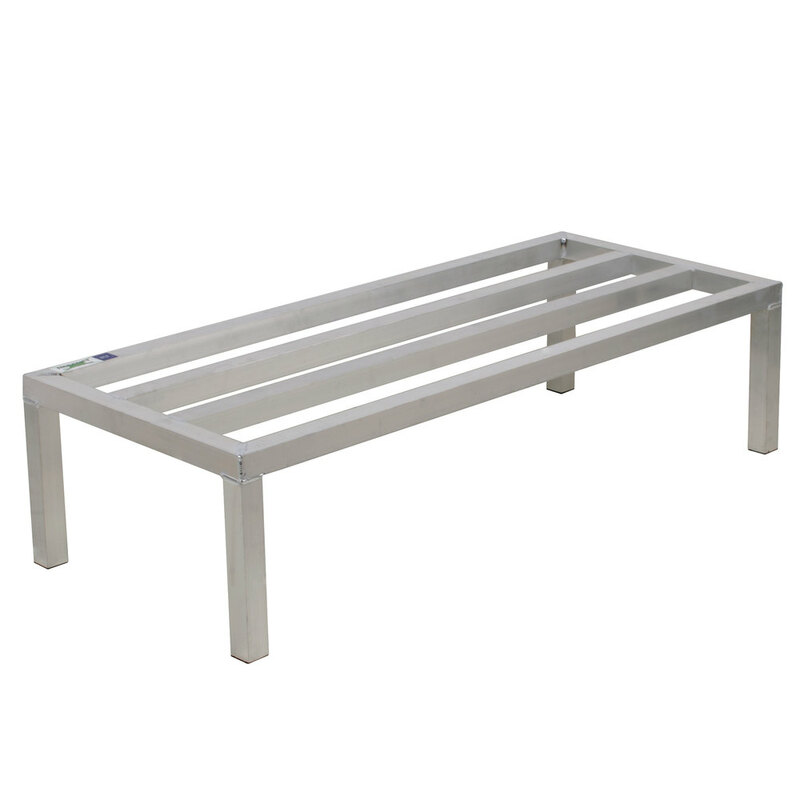 Constructed of heavy duty tubular welded aluminum, this dunnage rack is ready for any environment. Its aluminum tubes are welded to the frame horizontally on 4 1/2" centers for a sturdy storage surface. The legs are mitered, with plastic feet to help protect your floors. Ideal for coolers and freezers, as well as the selling floor, avoid damage from foot traffic and unsanitary conditions with the 48" x 20" x 8" aluminum dunnage rack.